A flyer is worth a thousand words! Full-color, glossy flyers help communicate your message in a powerful and visual way. 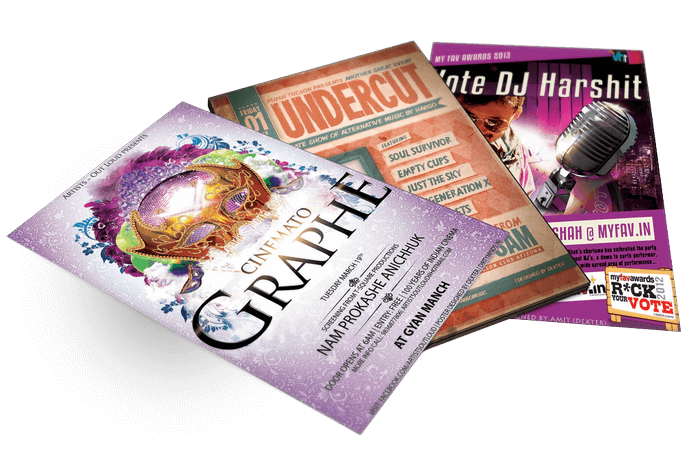 Flyers are a great way to advertise promotions, announce your grand opening or spotlight the features of a particular product. Glossy, full-color sell sheets can spark interest and generate sales by attractively providing important information about your products or services. Custom offset printed flyers and leaflets are an easy way to grab attention from customers walking by on the street or to promote an upcoming event. Hey people! My name is Dexter and let me introduce our awesomely designed flyers.